Arnold Schwarzenegger is certainly not a perfect individual but you can't deny his incredible rags to riches story and lengthy business success. He started out lower-middle class in Austria and with hard work and dedication came to the U.S. for bodybuilding. He achieved the highest level of success in the sport and leveraged it for amazing careers in real estate, acting, and politics. If you aren't familiar with his business empire, his net worth is currently $300 Million! He's right up there with fellow movie magnate Sylvester Stallone and even starred in some of the same movies. You can learn a lot about strategy, dedication, and mental toughness in the gym and successfully apply many of the principles in your business endeavors. I started my career with positions as a personal trainer, nutritional product salesman, gym manager, and fitness media producer before transitioning into a full-time digital marketer. Arnold quotes and his story really did help me! 1) "If you want to turn a vision into a reality, you have to give 100% and never stop believing in your dream." 2) "Concentrate on your goals. Do not allow other thoughts to enter your mind. If you allow them to, other things could take your concentration away from your ultimate aim." 3) "The more knowledge you have, the more you're free to rely on your instincts." 4) "I welcome and seek your ideas, but do not bring me small ideas; bring me big ideas to match our future." 5) "Start wide, expand further, and never look back." 6) "The worst thing I can be is the same as everybody else." 7) "Strength does not come from winning. Your struggles develop your strengths. When you go through hardships and decide not to surrender, that is strength." 8) "If you don't find the time, if you don't do the work, you don't get the results." 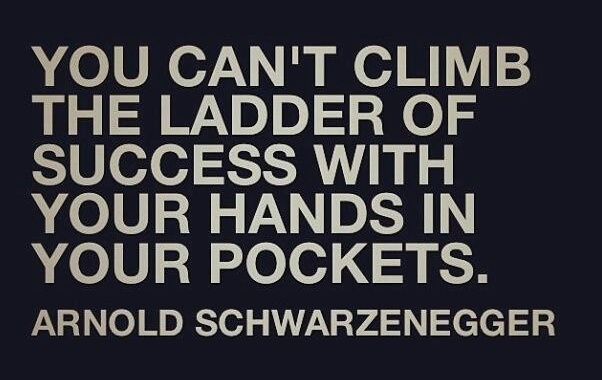 "You can't climb the ladder of success with your hands in your pocket!" I couldn't agree more. You have to take action, take (calculated) risks, and get your hands dirty. Now get to work! 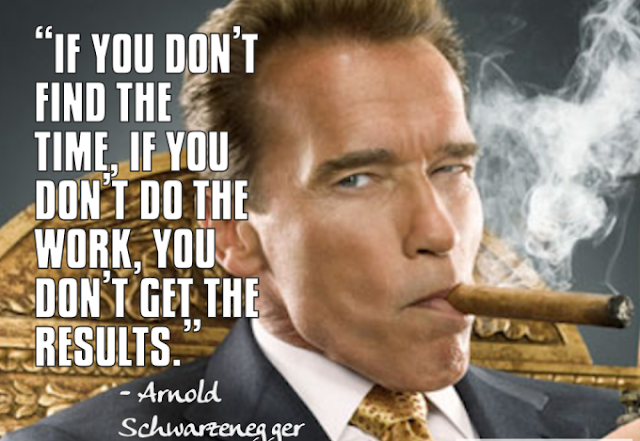 Thank you Arnold Schwarzenegger for all the motivating quotes! I hope you enjoyed these 8 great Arnold Schwarzenegger business quotes, quoted straight from the Governator and Mr Olympia himself! 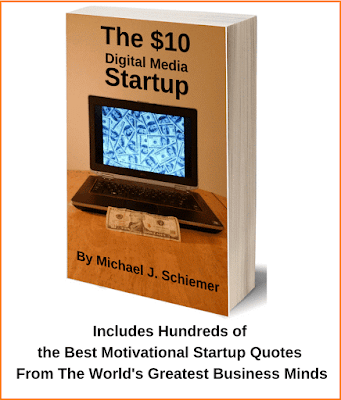 Want more great business quotes from media titans and entrepreneurs?